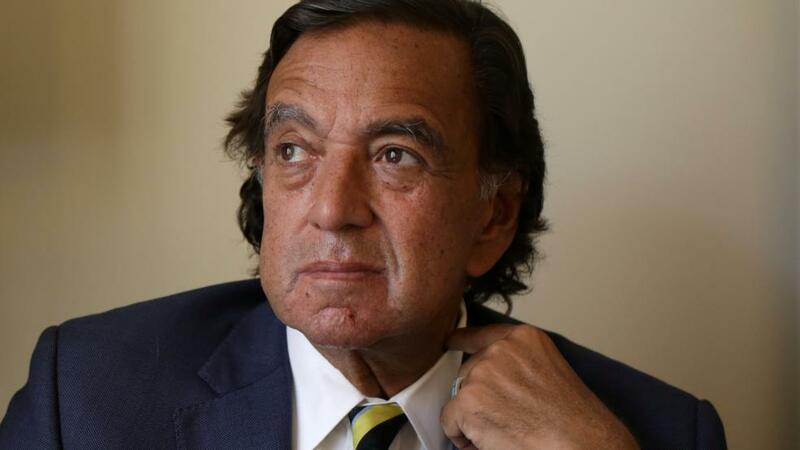 YANGON: Veteran US diplomat Bill Richardson has resigned from an international panel set up by Myanmar to advise on the Rohingya crisis, saying it was conducting a “whitewash” and accusing the country’s leader Aung San Suu Kyi of lacking “moral leadership”. Richardson said he got into an argument with Suu Kyi during a meeting on Monday with other members of the board when he brought up the case of two Reuters reporters who are on trial accused of breaching the country’s Officials Secrets Act. They were detained on Dec 12 after they had been invited to meet police officers over dinner in Yangon. The government has cited police as saying they were arrested for possessing secret documents relating to the security situation in Rakhine. US State Department spokeswoman Heather Nauert called Richardson’s decision to resign from the board and his reasons for doing so “cause for concern”, but noted he had been acting as a private citizen in joining the board and visiting Myanmar, which is also known as Burma. The Advisory Board for the Committee for Implementation of the Recommendations on Rakhine State was set up by Myanmar last year, to advise on enacting the findings of an earlier commission headed by former UN Secretary-General Kofi Annan. The armed forces have been accused by Rohingya witnesses and human rights activists of carrying out killings, rapes and arson in a campaign senior officials in the United Nations and the United States have described as ethnic cleansing. Myanmar rejects that label and has denied nearly all the allegations. Before Richardson quit the advisory board had 10 members, including five from overseas chaired by former Thai Deputy Prime Minister Surakiart Sathirathai. Richardson, a former US ambassador to the United Nations and energy secretary in the Clinton administration, also had harsh words for Surakiart. Richardson said he declined to join the advisory board’s tour of a new repatriation camp in Rakhine State on Wednesday, instead of travelling to Yangon. Myanmar’s military said earlier this month its soldiers had taken part in the killings of 10 captured Muslim “terrorists” during insurgent attacks at the beginning of September after Buddhist villagers had forced the captured men into a grave the villagers had dug. It was a rare acknowledgement of wrongdoing during its operations in Rakhine by the Myanmar military, which said legal action would be taken against members of the security forces who violated their rules of engagement and the villagers involved. The Rohingya crisis erupted after ARSA attacks on security posts in Rakhine on Aug 25 triggered a fierce military response. Myanmar says its troops were engaged in legitimate counterinsurgency operations. The UN on Wednesday called on Myanmar to give aid agencies unhindered access to camps it has built for tens of thousands of Rohingya refugees after agreeing on a deal with Bangladesh on their return.